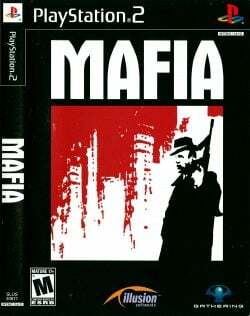 Game description: Play the role of Tommy, a man unhappy with his job as a driver in the Mafia. You control Tommy through the streets of 1930's American city, complete with simulated traffic and authentic buildings. Unwillingly accept assignments such as mob hits, car chases, bootlegging, shootouts, assassinations and bank robberies. Drive over 60 cars based on real models from the 30's. Choose from over 12 weapons ranging from baseball bats to the Tommy gun, to deal with those that dare to cross your path. In the Mafia, there's never a dull moment. Retested with posted memory card from user, and indeed the game crashes with a ton of TLB misses after finishing the Running Man Mission. PCSX2 1.5.0 dev 2246 GSdx BIOS USA v02.00(14/06/2004), Preset Safe, Needs this patch to avoid TLB misses after "The Running Man" and "The Priest" missions. Completed the game. Description: Game hangs when loading "Molotov Party"
This page was last edited on 28 January 2018, at 20:45.